The Wilson family has a long and storied history in the specialty of orthodontics. It started with William L. Wilson, who was born in Everett, MA in 1912. He grew up in Everett and attended Tufts College for his undergraduate studies, followed by Harvard University for his dental training. Dr. William Wilson had a life-long love and fascination with the art of dentistry, in particular orthodontics. He was a dedicated clinician, teacher, and critical thinker in orthodontics. Furthermore, he moderated many orthodontic panels, being known for unity of purpose in discussing the many methods used in the profession. In 1982, Dr. Wilson was awarded the Distinguished Alumnus Award from the Harvard Dental School for his contributions to dentistry and orthodontics. In 1969 Dr. William L. Wilson published an article in the American Journal of Orthodontics, in which he made a statement that summarized the Wilson approach to the specialty of orthodontics: "There are no simple isolated answers, no quick easy solutions... We recognize that not all proposed change is progress merely because it is change. Where change has merit, we must embrace it and modify and develop it to its noblest purpose". Dr. William L. Wilson founded the practice in Winchester in the 1940's. He built the practice with a strong dedication to providing the highest level of service to Winchester and the surrounding communities. 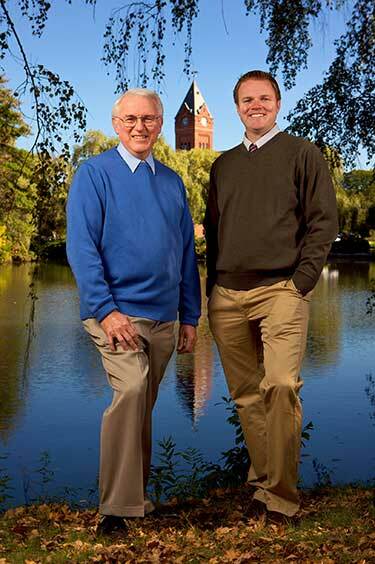 The practice has continued to evolve with the addition of his son (Dr. Robert C. Wilson) in 1976 and then his grandson (Dr. Robert W. Wilson) in 2006. All three Drs. Wilson have shared a love of orthodontics, teaching, their community, and helping others. They have taught all over the world at universities, meetings, and conferences. They have written numerous journal articles and textbooks on orthodontics and treatment techniques. They have designed and patented an entire line of Wilson® 3D® Orthodontic Appliances that have revolutionized orthodontic appliance design. Most importantly they have been active members of Winchester and the surrounding communities. Their true joy has been and continues to be making people smile. With the retirement and passing of Dr. William L. Wilson in 1988, one era ended but the tradition has continued and will continue for generations to come with Dr. Robert C. Wilson and Dr. Robert W. Wilson.